"Maximum City" and "City of Dreams" are two names that have been given to Mumbai in recent years, reflecting the city's extreme contrasts and opportunities it offers. Now India's financial capital and home of the Bollywood movie industry, it's hard to fathom that Mumbai was once a group of seven uninhabitable swampy islands. The indigenous Koli fishing community were the main occupants until the British acquired the land from the Portuguese in 1662, as part of a dowry, and rented it out to the East India Company who developed it. Bombay really started flourishing in the 1800s, after the swamps had been filled in and the islands joined together. They city's name was changed to Mumbai in 1995, to reflect its Maratha heritage and honor the goddess Mumbadevi, who the Kolis worshiped. 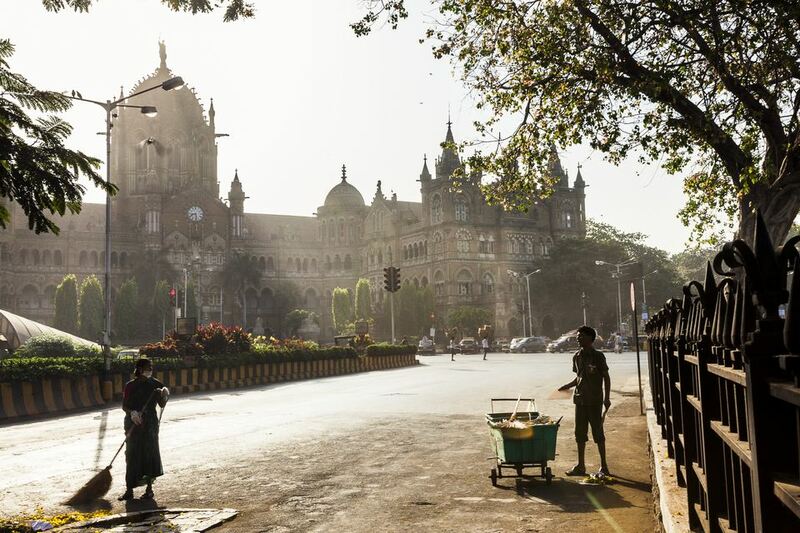 Over the years, many migrants have flocked to Mumbai in search of employment, making it the most culturally diverse and cosmopolitan place in India, and the most over-populated. Not only does the city have one of the largest slums in Asia, one of the country's wealthiest businessmen lives there in a home estimated to cost up to $2 billion. The city's current landscape is made up of a curious mix of age-old infrastructure, Gothic-style British heritage buildings, swanky shopping malls, and skyscrapers. This comprehensive itinerary for one week in Mumbai covers both popular and lesser-known attractions, and will give you deep insight into the city and how it functions. Ideally, stay somewhere in the Colaba or Fort districts of south Mumbai, which are the main downtown tourist areas. For luxury accommodations, look no further than the Taj Mahal Palace and Tower Hotel. Otherwise, choose from these top cheap hotels and guesthouses or budget hotels. There's no need to hire a car and driver to get around, as cabs are plentiful and will usually go by the meter, without quoting inflated prices for tourists. If you're using your cell phone in India,Uber is also a convenient and inexpensive option. 9 a.m.: Leisurely start the morning with a traditional Indian breakfast at the legendary Olympia Coffee House (Rahim Mansion, Shahid Bhagat Singh Road, commonly known as Colaba Causeway, opposite Leopold's Cafe, Colaba). This old-style Irani cafe, established in 1918, is renowned for its keema pav (spicy minced mutton with bread). If you're not so adventurous, order coffee or chai (tea) with egg bhurji (scrambled egg with spices) and bun maksa (buttered bread roll). 9:30 a.m.: Wander over to the Holy Name Cathedral (19 Nathalal Parekh Marg, formerly Wodehouse Road, Colaba) on the road behind Olympia Coffee House. It was completed in 1905, and its Gothic Revival style of architecture is magnificent. 10 a.m.: Spend some time exploring the lanes, buildings, boutiques, and street market around Colaba Causeway. The British started developing the area in the 1800s, and its architecture ranges from ornate Colonial style to more recent Art Deco style (Regal Cinema and Dhanraj Mahal). Avante Cottage Craft (Shop 12, Wodehouse Road, Indian Mercantile Mansion, Colaba) is one of the best places to shop of handicrafts in Mumbai. The Clove The Store (2 Churchill Chambers, Allana Road, Colaba) recently opened in Colaba's Art Deco quarter. It stocks fashion and lifestyle products from various Indian designers, plus Ayurvedic wellness brands. Good Earth (2 Reay House, BEST Marg, Colaba) has a reputation for gorgeous home decor and apparel. The Palms Spa (Dhanraj Mahal, CSM Road, Colaba) offers fabulous massage treatments, facials and scrubs. 12:30 p.m.: Have lunch at iconic Leopold Cafe on Colaba Causeway. This infamous restaurant opened in 1871 but rose to notoriety in Gregory David Robert's epic book Shantaram, published in 2003. It was also attacked by terrorists in 2008, and the bullet holes remain visible in the walls. You'll be going there for the atmosphere more so than the food. 1:30 p.m.: Walk to the landmark Gateway of India, one of Mumbai's top attractions, five minutes away. From there, take a 2-hour yacht cruise around Mumbai Harbor. Some options include this one offered by Wandertrails, this one offered by Leisure Kart, and this one offered by Thrillophilia. 4:30 p.m.: Head to the grand Taj Mahal Palace and Tower Hotel opposite the Gateway of India, and treat yourself to an elaborate high tea at the Sea Lounge. This luxury hotel was built in 1903 and has a multifaceted history, ranging from accommodating royalty to being held under siege for three long days during the 2008 terrorist attack. Sit by the window and enjoy an expansive view across Mumbai Harbor and the Gateway of India. 5:30 p.m.: Stroll along the Strand Promenade (officially renamed PJ Ramchandani Marg) from the Taj Mahal Palace Hotel to the Radio Club. Enjoy a sun-downer overlooking the harbor at the newly renovated and now upmarket Bayview Cafe (Hotel Harbor View rooftop, 25 PJ Ramchandani Marg, Colaba) or Cafe Marina (Sea Palace Hotel rooftop, 26 PJ Ramchandani Marg, Colaba) next door. Both are similarly priced. 8 p.m.: Have dinner at a restaurant in Colaba. For a lively hangout place with a jukebox and beer, choose Cafe Mondegar (Metro House, near Regal Cinema, Colaba Causeway). If you'd prefer fine-dining global cuisine, The Table (Kalapesi Trust Building, opposite Dhanraj Mahal, below Hotel Suba Palace, Colaba) and Indigo (4 Mandlik Road, behind the Taj Mahal Hotel, Colaba) are highly recommended. Imbiss Meating Joint (3 Pipewala Building, opposite Camy Wafers, 4th Pasta Lane, Colaba) is a hidden gem that specializes in German cuisine and exotic meat dishes. Otherwise, Delhi Darbar (10/14 Holland House, Colaba Causeway) is popular for north Indian cuisine. 8 a.m.: Begin the day by going on Khaki Tours' Fort Ride Urban Safari to explore Mumbai's heritage precinct. This unique 15-kilometer, 2.5-hour trip in an open-top jeep commences at the Town Hall and covers more than 100 heritage buildings. 11:30 a.m.: Be at Churchgate Railway Station to see the famous dabba-walas in action. They exit the station between 11.30 a.m. and noon, carrying large trays of tiffins with food that will be delivered to Mumbai's office workers. Noon: Take a cab to the Kala Ghoda Art Precinct about 10 minutes away, and have lunch at one of the many restaurants there. Trishna (7 Saibaba Road, Kala Ghoda) serves some of the best south Indian coastal cuisine in Mumbai. Khyber (145, M.G. Road, Kala Ghoda) has won awards for its Northwest Frontier dishes and has regal Afghan-inspired interiors. If you're feeling really hungry, try the traditional vegetarian thali (platter) at Chetana (34 K Dubash Marg, Kala Ghoda). Alternatively, cool Kala Ghoda Cafe (Bharthania Building A Block, 10 Ropewalk Lane, opposite Trishna restaurant, Kala Ghoda) is ideal for a light bite and coffee or specialty teas. For healthy gourmet food dine at The Pantry (Yeshwant Chambers, Military Square Lane, near Trishna restaurant, Kala Ghoda) or The Nutcracker (Modern House, Dr. V.B. Gandhi Marg, opposite One Forbes Building, Kala Ghoda). 1:30 p.m.: Spend the afternoon exploring Kala Ghoda. If you're interested in art, don't miss the Jehangir Art Gallery, Museum Gallery, and National Gallery of Modern Art (tickets are 500 rupees for foreigners and 20 rupees for Indians. Open until 6 p.m. except Mondays). Tea lovers must visit the Sancha Tea Boutique (Store 2A, 11A Machinery House, opposite Trishna restaurant, Kala Ghoda). Kulture Shop (9 Examiner Press, 115 Nagindas Master Road, Kala Ghoda) sells funky products by leading Indian graphic artists. The handwoven Indian clothing and textiles at Fab India (137 Jeroo Building, M.G. Road, Kala Ghoda) are popular. You can also easily fill in a few hours at the extensive Chhatrapati Shivaji Maharaj Vastu Sangrahalaya, formerly the Prince of Wales Museum (tickets are 500 rupees for foreigners and 85 rupees for Indians. Open until 6 p.m. except Mondays). It has incredible Indo-Saracenic architecture. 7:30 p.m.: For dinner, have an authentic regional Indian meal in the home of a local. It's a fantastic way of experiencing Mumbai's eclectic culture. In the Colaba area, choose from Bihari cuisine cooked by Chandana or Bohri cuisine cooked by Nafisa. 8 a.m.: Visit Mumbai's dhobi ghat (next to Mahalaxmi railway station, Doctor E Moses Rd, Mahalaxmi, central south Mumbai) to see the morning washing activity. This massive open-air laundry was founded in 1890 and is the largest in the world. It's even earned a mention in the Guinness Book of Records! Tourists can go inside and take photos by paying a small fee to one of the local guides at the entrance. 9 a.m.: Walk 30 minutes or take a cab to Haji Ali Dargah (Dargah Road, Haji Ali, central south Mumbai), situated in the ocean off the coast of Mumbai. This 15th century mosque and tomb contains the body of wealthy Muslim merchant and Sufi saint Pir Haji Ali Shah Bukhari, who built it after a trip to Mecca inspired him to change his life. If the tide is low, you can follow the path out to it. 10 a.m.: Grab a fresh juice from Haji Ali Juice Center and take a cab to Banganga Tank (Walkeshwar Road, Teen Batti, Malabar Hill, south Mumbai), via Pedder Road. Look out for Antilia, the towering uber-luxury residence of Indian businessman Mukesh Ambani, chairman of Reliance Industries. It has more than 20 floors, and is thought to have cost $1-2 billion to construct. 10:30 a.m.: Explore Banganga Tank, the oldest continually inhabited place in Mumbai, which is now surrounded by modern high-rise apartment buildings. It's a good idea to go on a guided walk of the area to learn about it. Or, if you'd like to spend more than two hours there, Khaki Tours' Banganga Parikrama walk is excellent and in-depth. 12:30 p.m.: Stop by the Babu Amichand Panalal Adishwarji Jain temple (Ridge Road, Walkeshwar, Malabar Hill, south Mumbai) and marvel over its ornate sculptures and paintings. The temple, constructed in 1904, also has two colorful stone elephants flanking its entrance. 1 p.m.: Have a tasty and inexpensive vegetarian south Indian lunch at Dakshinayan (Walkeshwar Road, near Ridge Road intersection, Walkeshwar, Malabar Hill, south Mumbai), only a few minutes away on foot. 2 p.m.: Retrace the life of Mahatma Gandhi, and his role in fighting for India's freedom from British rule, at Mani Bhavan (19 Laburnum Rd, Gamdevi, south Mumbai) where he stayed while in Bombay from 1917 to 1934. This small museum contains various exhibits of photos, letters, and documents. 3 p.m.: Step back in time at historic Khotachiwadi village (near Charni Road station in Girgaum, south Mumbai). This characterful village dates back to the 1800s and has wooden Portuguese-style bungalows that are more than 100 years old. Unfortunately, only about 25 of them remain. The most notable ones are 47G (where distinguished Indian fashion designer and heritage activist James Ferreira lives), and 57 (where guitarist Wilfred "Willy Black" Felizardo lives). James recently opened a bed and breakfast in part of his home, and is always willing to chat to people about Khotachiwadi if he's free. 5 p.m.: Catch the sunset at Girgaum Chowpatty on Marine Drive, and sample some classic Mumbai snacks from the food stalls on the beach. This city beach is a popular evening hangout spot for Mumbai's residents. 7 p.m.: Head to The Quarter at the newly restored Royal Opera House (Mama Padmanand Marg, Girgaum, south Mumbai) for drinks, dinner and a live music performance. 5 a.m.: It's totally worth getting out of bed early to go on No Footprints' Mumbai by Dawn tour. You'll get to see a completely different, non-touristy side of the city at its old-fashioned wholesale markets, which burst with activity by sunrise. This includes the city's largest fish market at Sassoon Dock in Colaba, newspaper market, and flower market. 8:30 a.m.: Have a hearty gourmet western breakfast at the Bake House Cafe (43 Ropewalk Lane, Kala Ghoda, Fort. Behind Rhythm House and opposite the Synagogue), a classy new all-day diner with an elegant Victorian-era vibe. 9:30 a.m.: Continue your exploration of Mumbai's markets at Crawford Market and Mangaldas Market (Near CST Railway Station, Lokmanya Tilak Marg, Dhobi Talao, Fort area, south Mumbai). Crawford Market is housed in an historic Colonial building, and specializes in wholesale fruit and vegetables including spices. Nearby, Mangaldas Market is one of the biggest fabric markets in Asia. 11:30 a.m.: Walk five minutes further north along Sheikh Memon Street to Mumba Devi temple, dedicated to the goddess who Mumbai was named after. It was founded by the city's original inhabitants, the Koli fishermen, who worshiped her. The current temple replaces the initial one, which was demolished in 1737. 12:30 p.m.: Have lunch at Faham Restaurant and Lounge (Khadak Street, near Zakaria Masjid, Mohammad Ali Road area, south Mumbai), about a 10-minute walk away. The Mohammad Ali Road area is a renowned non-vegetarian foodie destination in Mumbai, and this atmospheric restaurant serves excellent north Indian and Chinese cuisine. 2 p.m.: Visit Bombay Panjrapole (Panjrapole Compound, Panjarapole Road, Bhuleshwar, south Mumbai), a surprising two-acre cow shelter tucked away in the heart of Mumbai's busy Bhuleshwar market district. 3 p.m.: Head to Chor Bazaar (Mutton Street, between S V Patel and Moulana Shaukat Ali Roads, near Mohammad Ali Road, south Mumbai), Mumbai's famous thieves market. These days, its shops are overflowing with everything from antiques to junk. It's possible to go on a two-hour guided walking tour of Chor Bazaar. 6:30 p.m.: Catch an evening show at the National Center for Performing Arts (NCPA Marg, Nariman Point, south Mumbai). Various Indian classical music, dance and drama productions are held there. Check the website for details of what's on. If you're feeling hungry beforehand, Suzette (Atlanta Building, Nariman Point, south Mumbai), is a tiny French-style cafe that makes delicious waffles, crepes, pastries, and pancakes. It has extensive menu of coffees, teas, juices and smoothies too. 9 p.m.: For dinner, either eat at one of the two restaurants at the National Center for Performing Arts, or at the The Sassy Spoon (Express Towers, Ramnath Goenka Marg, Nariman Point, south Mumbai). It has funky designer interiors and varied cuisine ranging from modern Indian to Mediterranean. 9 a.m.: Explore Mumbai's incredible Dharavi slum, one of the largest slums in Asia, on a guided walking tour. This is not voyeuristic poverty tourism but rather shows what the residents are able to achieve despite their challenging conditions. You'll get amazing insight into this inspiring community! A popular Dharavi tour is offered by Reality Tours and Travels (900 rupees per person). It departs from Churchgate railway station daily at 9.15 a.m. Part of the proceeds are used to support Dharavi residents. Choose the option to have a home-cooked lunch with a local family afterwards. In addition, make sure you bring extra money for shopping, as you can buy everything from leather goods to fabric at low prices, made by Dharavi businesses. 2:30 p.m.: Take a cab to Worli fishing village (also known as Worli koliwada), about 30 minutes away. Worli was one of the original seven islands of Bombay, inhabited by the indigenous Koli fishermen. The village has a 17th century fort built by the British, and a haphazard labyrinth of modest homes. British band Coldplay filmed their music video for their single, "Hymn For the Weekend", there. Recently, a Mumbai artist transformed the exteriors of the buildings in the village by painting them bright colors. The village isn't a tourist area, so you may wish to have a guide accompany you. 4:30 p.m.: Pay your respects to India's favorite elephant-headed god, Lord Ganesh, at Siddhivinyak Temple (Corner of Kakasaheb Gadgil Marg and S.K. Bole Marg, Prabhadevi, central south Mumbai). The temple was built in 1801, and is one of the richest and grandest in Mumbai. Its inner sanctum has a gold-plated ceiling! 5:30 p.m.: Refresh and recharge at cozy Cafe Trofima (Road 2, Raja Bade Chowk, opposite Raja Rani Travels, Shivaji Park, Dadar West, central south Mumbai). 6 p.m.: Walk across to Shree Samartha Vyayam Mandir in Shivaji Park (Keluskar Road, Dadar West, central south Mumbai), the home of mallakhamb. This indigenous form of gymnastics uses the support of only a rope or pole, and you can see students practice intensely there. If you want to try it, Wandertrails offers a two hour mallakhamb workshop. 8 p.m.: Dine on authentic Maharashtrian cuisine for dinner at Diva Maharashtracha (Lalita Giridhar Tower, Takandas Kataria Marg, Kataria Colony, Shivaji Park, Dadar West, central south Mumbai). It has regal Peshwa-style interiors and live music. 8:30 a.m.: A trip to Mumbai would be incomplete without a brush with Bollywood. Go on this half-day Mumbai Dream Tour conducted by No Footprints to get a Bollywood dance lesson, and visit a film studio and sound recording studio. Customized Bollywood film posters can be created upon request. 3 p.m.: Spend a couple of hours at the nostalgic Dr. Bhau Daji Lad Museum (91 A Rani Baug, Veer Mata Jijbai Bhonsle Udyan, Dr Baba Saheb Ambedkar Marg, Byculla East, south Mumbai. Tickets: 100 rupees for foreigners and 10 rupees for Indians) and have afternoon tea at the Museum Cafe. The museum opened in 1857 and is the oldest one in Mumbai. It has been beautifully restored and showcases the cultural heritage of the city. 5 p.m.: Kick back with a cocktail or champagne, and admire the sun set over the city skyline from the 34th floor of chic Aer bar (Four Seasons Hotel, Dr. E. Moses Road, Worli). It's one of the highest bars in Mumbai, and drinks are half price during happy hours until 8 p.m.
7 p.m.: Have dinner at the The Bombay Canteen or Farzi Cafe, at the Kamala Mills compound in Lower Parel. Both restaurants are highly regarded for their inventive contemporary Indian cuisine. They're located in Mumbai's hottest new dining destination, developed from a disused industrial area once occupied by the city's cotton mills. Do reserve a table well in advance! Make the most of the reduced traffic on Sunday by heading north, to suburban Bandra West and Juhu Beach. Often referred to as the "Queen of the Suburbs", Bandra was originally a Portuguese settlement that remained after the British gained possession of the Bombay islands in 1662. This accounts for the suburb's substantial Catholic population and many old churches. Nowadays, multi-faceted Bandra is also home to the city's hipsters and celebrities, who are attracted by its Western influences and liberal attitudes. If you're feeling adventurous, you can take the Mumbai local train to Bandra. Board it at Churchgate on the Western Line. 9 a.m.: Drop into The Bagel Shop (30 Pali Mala Road, behind Carter Road, Pali Hill, Bandra West) for breakfast. Don't let the name fool you, this beloved cafe in a rambling bungalow serves a lot more than bagels and is more like a creative community than a shop. Writers, filmmakers, DJs, entrepreneurs and expats all hang out there. 10 a.m.: At the heritage enclave of Ranwar Village, admire the Portuguese ancestral homes and surrounding street art. Start from Nagrana Lane (off Hill Road, Bandra West) and wander along it to Waroda Road. Turn left at the Birdsong Organic Cafe. Most of the street art can be found on and around Waroda Road, Chapel Road, and Saint Veronica Road up to Mount Carmel Church. The most prominent murals on Chapel Road are the work of the Bollywood Art Project. Wandertrails conducts guided 2-hour walking tours of the street art. Noon: Head to Bandra Bandstand (don't miss the murals of Bollywood actors Amitabh Bachchan and Rajesh Khanna on the corner of Bandstand and Pereira Road). Pose for a photo outside the gates of Mannat, where the "King of Bollywood" Shah Rukh Khan lives. 12:30 p.m.: Sunday Brunch is a big thing in Mumbai and Mediterranean-style Olive Bar and Kitchen (14 Union Park, Khar West, behind Cafe Coffee Day) offers one of the best spreads, accompanied by cocktails and wine. Go there via the Carter Road promenade. 2:30 p.m.: Browse the roadside stalls for bargains on Linking Road in Bandra West. Bags, shoes, jewelry and clothing are all up for grabs at cheap prices. 4:30 p.m.: Be astonished by the colossal crowd at Juhu beach (Juhu Tara Road, Juhu), about 15 minutes north of Bandra. It's carnival-like, with everything from monkeys to sand sculptures. 5 p.m.: Unwind under the palm trees overlooking Juhu Beach at Gadda Da Vida seaside lounge (Novotel Hotel, Balraj Sahani Marg, Juhu Beach). There are daily happy hours from 4 p.m. until 8 p.m.
7:30 p.m.: Eat dinner at a restaurant in Juhu. Popular options include Mahesh Lunch Home (next to J.W.Marriott Hotel, Juhu Tara Road, Juhu) for mouthwatering Mangalorean seafood, quaint Grandmama's Cafe (Hotel Royal Garden, Juhu Tara Road, Juhu) for platters of wholesome Indian and Continental food ideal for sharing, and fashionable Myxx tapas bar (Navratan Apartment, A.B. Nair Road, near Juhu Post Office, Juhu) for gourmet Asian cuisine and theatrical cocktails.